Walls can account for 30-35 percent of heat loss in houses. In addition to heat loss through the walls, there are many cracks and penetrations that allow uncontrolled air leakage into and out of the house. Older homes built prior to 1970 typically have little of no insulation leading to uncomfortable drafty or cold rooms and higher energy costs. Eco Insulation® can handle any type of wall construction usually with our blown-in Dense PAK processes.Wall exteriors including brick, log, wood plank vinyl and aluminum siding can be successfully insulated. Eco Insulation® recommends installing Blow-in Green Fiber Insulation in existing wall cavities, the second major area of energy loss in most homes. This is referred to as a retrofit application. 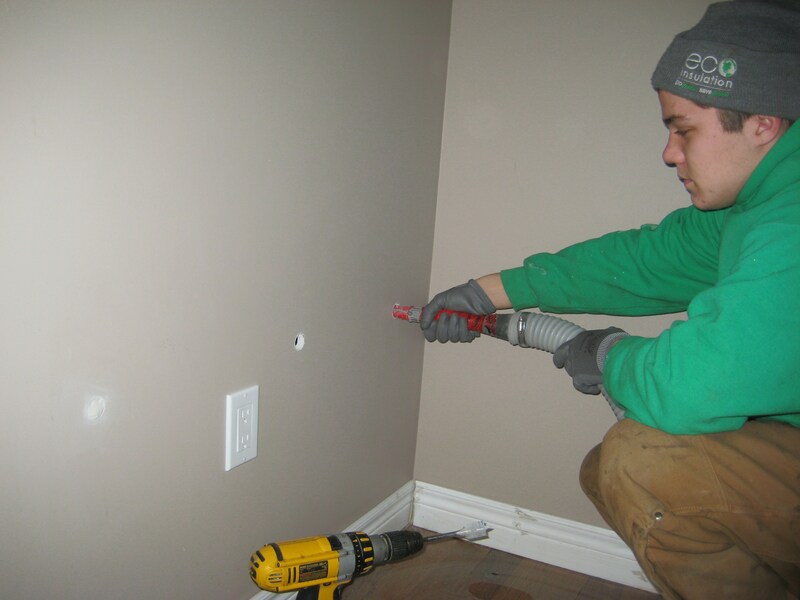 This allows us to successfully insulate a wall without any need to rip the wall apart. No renovations required. No mess and most homes are done within a day.